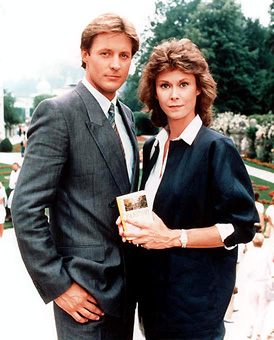 Performers include: Kate Jackson, Bruce Boxleitner, Mel Stewart, Martha Smith, Beverly Garland, Greg Morton, Paul Stout, and Raleigh Bond. Lee has two men hot on his tail and asks for the help of the unassuming single mom to deliver an envelope to a man in a red hat onboard the train. On the train in her housecoat and with no ticket, Amanda is surrounded by men in Shriner’s hats as far as the eye can see, so she takes the package home. This sets off a domino effect of events and Lee must track her down at the home she shares with her mom Dotty (Beverly Garland), who accidentally posted the envelope. 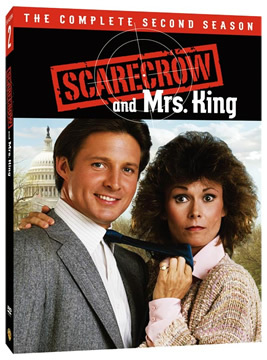 When the two finally reclaim it, Scarecrow’s boss, Billy (Mel Stewart), thinks the divorcee would make a great partner for Lee and hires her for the agency, much to the disapproval of both Lee and fellow agent Francine Desmond (Martha Smith). The partners couldn’t be more different: Amanda is untrained and fumbles her way through government affairs while Scarecrow is highly-skilled at both his career and with women. Still it’s their many differences and adventures that bring them together. Falling in love with each another is the one mission they simply cannot avoid.